The fine detail and stepped design of the Verona would be an attractive feature for any living room. 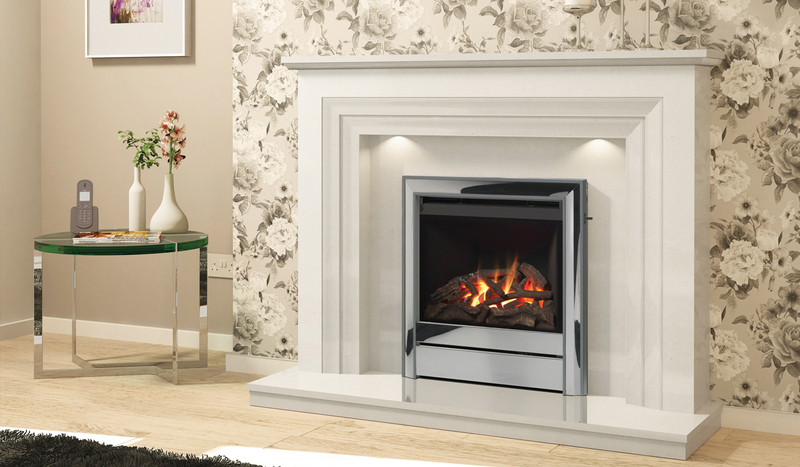 This surround is available in Manila, White or Grey micro marble and has a choice of hearth options. It is equally at home with gas or electric inset fires. A stunning fireplace for any of our Gas Fires and Electric Fires to complete your ideal focal point.